Concertino. 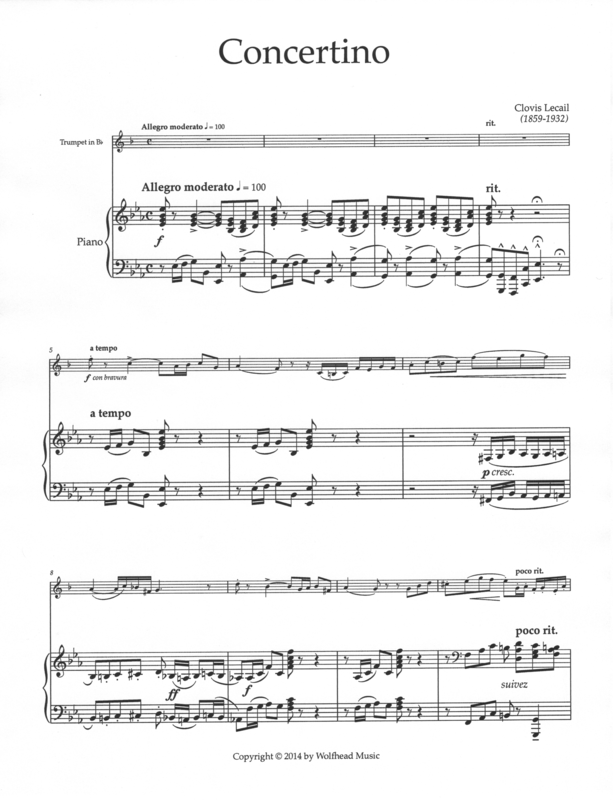 An excellent concert piece for B-flat trumpet (or cornet) and piano. Composed circa 1920 in late romantic style.